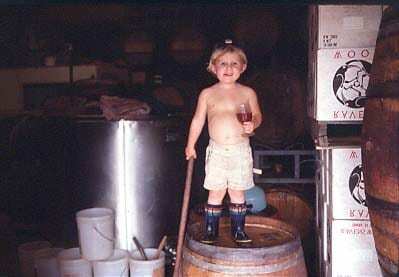 The man, the myth... Morgan Twain-Peterson foot-trod his first wine, a Pinot Noir, at the age of five! We're not at all surprised about Bedrock's cult following since the brand emerged less than 10 years ago, as (seriously) this is about as great and cool as they come. When Morgan was named Winemaker of the Year 2014 by the San Fransisco Chronicle, everything sort of went John Rambo's way, and we finally understood what he meant by "full circle". Morgans fame aside, none of this would have happened without his utterly cool sidekick, Chris Cottrell. They represent the essence of Brix Wine in so many, many ways! Old vines, old vines and hopefully even older vines, producing grapes of great concentration, which they ferment using indigenous yeast, favoring the Burgundy idea of manual punch-downs. Morgan vision is to maximize each vineyard's true potential and the key factor here is to create gutsy field-blends, offering serious concentration and longevity, but also elegance and present soil additions. In order not to interfere with the true flavor of each variety and/or field blend, aging is mainly carried out in neutral barrels of various sizes. Indigenous yeasts are exclusively utilized here, and manual punchdowns according to old-achoo Burgundy principles are favored in orded to extract powerful yet gentle tannins. The Shebang label, represents fantastic wines at great prices. This is the third cuvee, and for the first time, it carries a varietal name. The wine is a blend of 80% Sauvignon Blanc, mostly from 30 year old dry farmed vines in Mendocino, ancient vine Muscadelle and a touch of ancient vine Semillon (both from Sonoma). Fermented with native yeasts, and aged in about 15% new French oak, this is fresh and clean with bright acidity and a wonderfully weighted mid palate. This is a great white for everyday drinking. 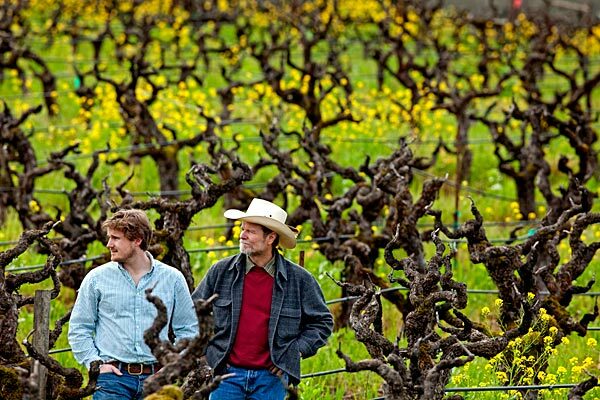 WHO: Bedrock Wine Company is run by award winning winemaker Morgan Twain-Peterson and Chris Cottrell. WHERE: Based in Sonoma, this winery produce non-manipulated, seriously crafted wines from selected vineyards across the North Coast. WHAT: Focusing on California's unique and very old Heritage vines, Bedrock also produce a range of Syrahs and a few whites. HOW: Whole cluster fermentation, natural yeast, neutral oak - you've seen it before. A classic approach to winemaking, dependent on great fruit. QUANTITY: Numerous wines, but usually few bottles of each. Shebang being the obvious exception.